Being a big Lord of the Rings fan, I was very excited to find out that the movies were made in New Zealand. Visiting the filming locations was on the To Do List for a while. Then finally, my husband (who didn’t like the movies at all) agreed to go and see the Hobbit Holes with me as a birthday gift. I usually don’t like to pay this much for attractions, but this was a special treat for myself. As a matter of fact, we have seen Mt Doom (Mordor), too, when we went to Mt Ruapehu. The New Zealand volcano Mount Ngauruhoe was used as Mount Doom in some scenes. In long shots, the mountain is either a large model or a CGI effect, or a combination. Filming the summit of Ngauruhoe itself was not permitted because it is sacred to the Māori of the region. However, some scenes on the slopes of Mount Doom were filmed on the actual slopes of Mount Ruapehu. Checking the website beforehand, I learnt that you can only see the movie set on a tour and the tour takes approx. 2 hours. There are buses picking you up from Rotorua, Matamata and the Shire’s Rest. We wanted to go from the Shire’s Rest, but somehow I couldn’t find directions, so we ended up at the Matamata i-Site, which was easy to recognize. Luckily a tour was just about leaving in 15 minutes, so we parked our car and hopped on the bus. To our surprise it was only us and two Swiss guys on the bus- it was almost like a private tour. 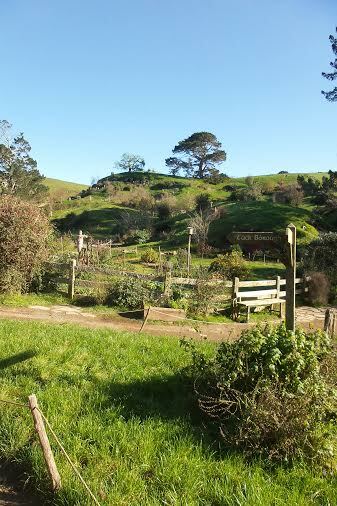 When we saw the other groups, we were really glad, we didn’t leave from the Shire’s Rest. The bus took us to the gates of the farm where our tour guide hopped on. After couple of minutes we got off the bus and the tour began. Our guide was really entertaining, knew and shared a lot with us, without being boring for the kids. We learnt that every scene in the movies were filmed in New Zealand and almost everyone working on it was from New Zealand. We took millions of pictures of the Hobbit Holes and surrounds. And because it was only 6 of us in the group, we had time to take photos from every angle LOL It was really like being in a fairy tale- a Hobbit could have walked out just any minute. After touring the village, we ended up at the Green Dragon Inn, which took our breath away! It certainly had its special vibe. We got a free drink and could sit at the fire or walk around outside. We could spend 20ish minutes there and then it was time to walk back to our bus. It stopped for another 20 minutes at the Shire’s Rest, which is really a gift shop and little restaurant- we got our usual fridge magnet (that we are collecting) and we were off to the iSite visitor center. And it was really different to watch the movies after this experience when we got home. To ensure all our guests have the complete experience the only way to access the Hobbiton Movie Set is with a guided tour. What is the difference between the tour from Matamata, TSR (The Shires Rest) & Rotorua? It is the same tour however they are different pick up locations. The tour from Rotorua is twice a day and is more expensive than from Matamata or TSR (The Shires Rest) because of the distance. Yes, it is advisable to book in advance. You can make a reservation online by clicking here. Alternatively you can make a phone reservation by ringing (07) 888-1505. If you would like to be picked up from Rotorua you need to book at least 12 hours in advance. 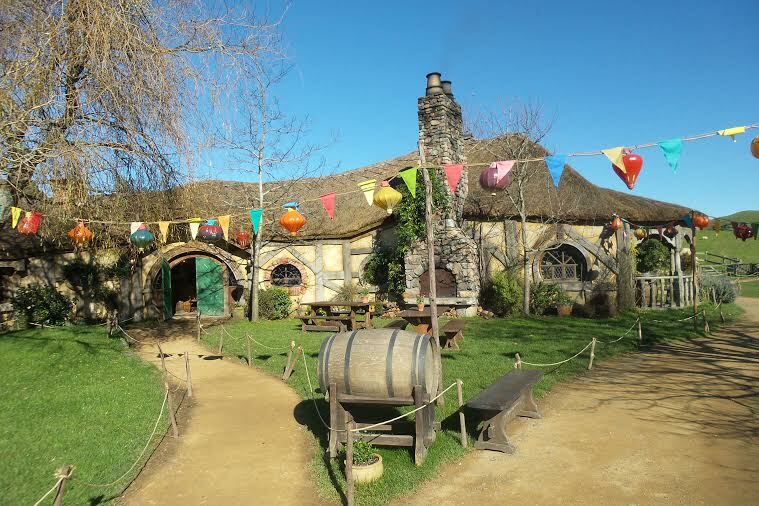 Filming at the Hobbiton Movie Set has finished and tours are running as normal. Can I stay in any of the Hobbit Holes? The Hobbit Holes are exterior only and you cannot enter (or stay) in them. Is there much to see? The set has been completely rebuilt for the filming of The Hobbit movies in 2011, they set will remain how it was seen in the films. 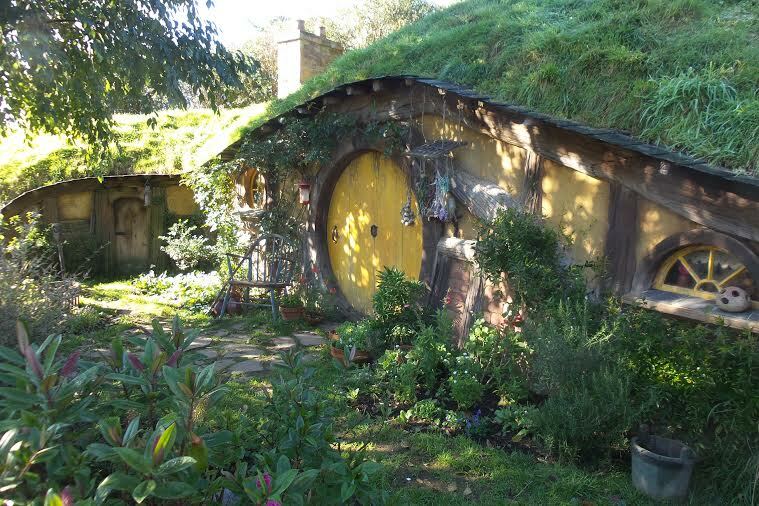 There are 44 unique hobbit holes, the Green Dragon Pub, Mill, double arched bridge and the famous Party Tree.